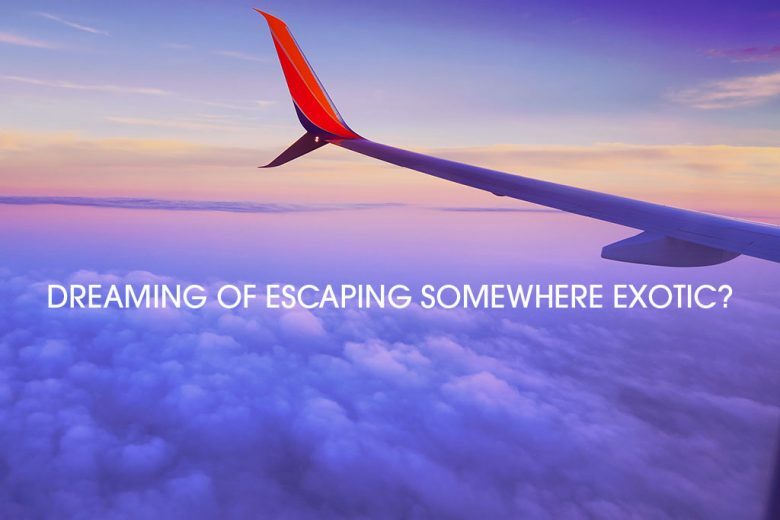 Dreaming of escaping somewhere exotic? Discover five of the best long haul holiday destinations to take your family. As the days get shortener, colder and darker, it’s tempting to start planning your next family escape somewhere warmer. And while Europe has plenty of popular, family-friendly destinations, like Spain and the Canaries, within easy reach, an increasing number of families are setting their sights further afield. If you fancy taking your kids on an adventure, Travelbag’s long-haul holidays expert, Paul Hopkinson, has shared his top five long haul destinations for family holidays. 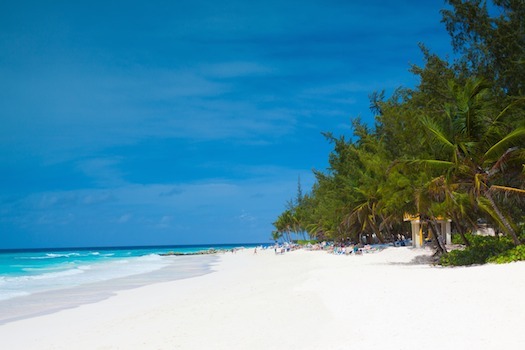 In the southern part of the Caribbean, far from the Hurricane track, lies the tiny island of Barbados. The Caribbean’s easternmost country is jam-packed full of activities that the whole family can enjoy, and the beaches here are world-famous for being, well, just perfect. To the northern end of the island’s west coast lies Mullins Beach. This stunning haven is popular with both tourists and locals alike, and shelves gently into the usually calm sea – making it perfect for a spot of safe paddling with younger children. Mullins Beach Bar and Restaurant, located just above the golden sands, has an extensive menu of light bites and meals for when little tummies get hungry! For a truly unique experience, try Payne’s Bay beach. The soft white sand and turquoise waters make for a stunning family photo opportunity, but the most exciting thing about this Caribbean paradise is the groups of turtles, which gather about 250 metres into the sea. There are local companies that take families out to see the turtles in small boats, or if you have older children, why not hire some equipment from the watersports hut? The turtles are very tame, and are usually happy for people to touch their shells – an unforgettable experience for little kids and big kids alike! If you and your family are hoping to experience city life in style, Dubai could be the perfect destination for you. With futuristic skyscrapers, family-friendly restaurants and some of the most exciting water parks in the world, the whole family will fall in love with this bustling middle-eastern metropolis. The best water parks in Dubai are Aquaventure and Wild Wadi, the former of which is located on the world-famous man-made island, Palm Jumeirah. 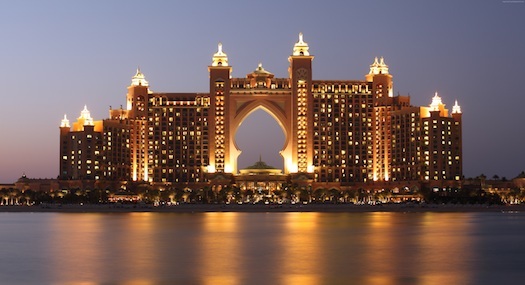 Aquaventure is in the grounds of the stunning Atlantis, The Palm hotel, and is free for guests. However, non-guests of the hotel can enter the park for a reasonable fee. Plunge down through shark infested waters on the gut-wrenching Leap of Faith, or swim with the dolphins in Dolphin Bay – there’s fun here for all ages! Wild Wadi is a great alternative to Aquaventure, with a plethora of adrenaline-fueled rides for older children and adults, including the terrifying (but incredibly fun) Wipeout slide. Younger kids can play in Juha’s Dhow and Lagoon, which features racing slides, water guns and lots of colourful characters. For a break from the water parks, venture into downtown Dubai, where you’ll be in awe of the world’s tallest building – the Burj Khalifa. There are public observation decks on the 125th and 148th floor, which make for an unforgettable sky-high viewing experience for the whole family. As Dubai is one of the greatest cities in the world, it will come as no surprise that there are countless family-friendly restaurants and eateries to choose from. Jones the Grocer is located in midtown Dubai, and is popular with families. It serves a wide range of dishes, and features an extensive kid’s menu. For an al-fresco dining experience, choose the Majilis Al Bahar, which is located on sugar white sands with a view of the iconic Burj Al Arab, perfect for a family meal illuminated by the sunset. Kids love animals, and what better way to get up close to some of Africa’s most magnificent wildlife than a Kenyan safari? Whether you fancy exploring the national parks in a tour bus or discovering a wild world off the beaten tracks in a 4×4, it’s bound to be a spectacular experience for the whole family. 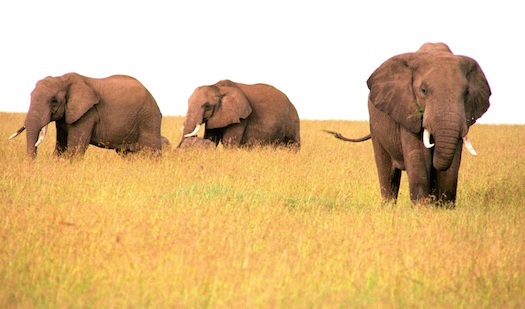 Kenya is home to an array of stunning wildlife, including African elephants, lions, cheetahs, zebras, giraffes, wildebeest, hippopotamuses and over 1,000 types of bird. The big five – buffalo, elephants, leopards, lions and rhinos – are all present here, making Kenya one of the most popular safari destinations in the world. With a range of UNESCO World Heritage Sites, national parks and nature reserves, Kenya is perfect for families who want a holiday they’ll never forget. The ‘Sunshine State’ is home to the world-famous Walt Disney World Resort, as well as the acclaimed Universal Studios, making it one of the most popular family holiday destinations in the world. No trip to Orlando would be complete without a trip to Walt Disney World. 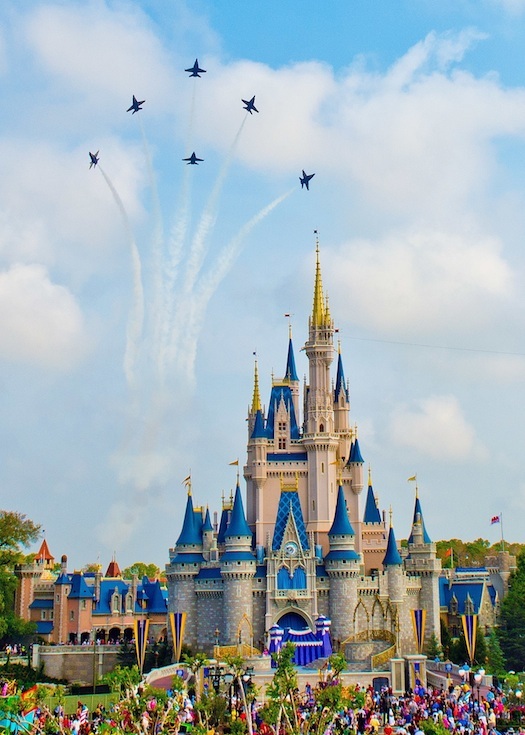 Kids and big kids alike will love the magical firework display above the Magic Kingdom, which is bound to get little princesses and princes excited. Kids can get a taste of cultures from around the world at Epcot, become film stars at Disney’s Hollywood Studios or even go on a safari at the Animal Kingdom. Roller-coaster fans will get their adrenaline rush at the fabulous Universal Studios’ Islands of Adventure. The famous Hulk Roller Coaster reaches 60mph in two seconds flat, and kids of all ages can enroll at Hogwarts School of Witchcraft and Wizardry at the magical Harry Potter Wizarding World (make sure you look the part with Harry Potter clothing from popgear). But don’t worry – the Butter Beers don’t contain alcohol! 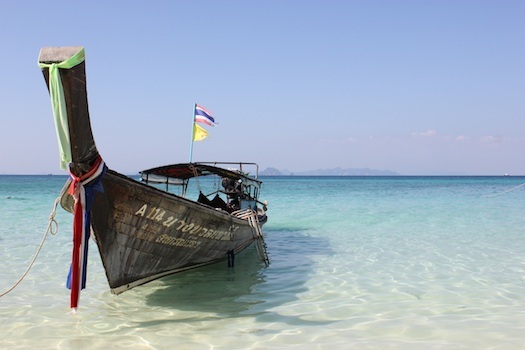 Located in Southeast Asia, Thailand is an increasingly popular destination for families who want to discover an explosion of culture. Like Kenya, Thailand is perfect for families who want to experience some of the planet’s most sensational wildlife. The whole family can ride through the rainforest on majestic elephants, or snorkel over the colourful coral reef. The possibilities are endless here! If you’re worried that the kids won’t eat the Thai food, don’t worry! Not only do many restaurants serve a kid’s menu of western favourites like chicken nuggets and fries, but there are many mild and creamy Thai dishes out there that the kids are sure to love. Kids grow up so fast, so we want to make memories that we can cherish for years to come. Family holidays are a huge part of making those memories, so why not get out there and explore the world, before your kids have kids of their own? You can find out more about Travelbag’s tailor-made holidays on their website.